Smart TV allows you to bring your brand experience to the classroom and bedroom. Here at Enterprise Mobility Google TV Applications solutions are built to increase interactive consumer experience with smart TV, based on unique principles, and open standards-based development. Google TV is an Android foundation that is used for interactivity with TV, online entertainment media and others. Google TV application solutions are based on operating system with Linux and Chrome as a binding source of navigation, it can easily connect people and broadcast media to the outside world. Our infrastructure is well equipped with essential accessories and software development. Our developers have extensive knowledge of Google TV structures, projects and they know how to improve the application to show the trajectory of the beholder. We also put in some additional features or as per client view or analysis of future trends. Our Google TV Application developers have always developed on well thought out process for a truly useful application or Google TV solution. We deeply understand and know it's all about the end user experience and media connectivity. 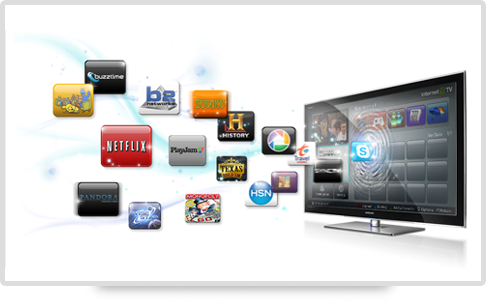 Enterprise Mobility is most valued company for services of high quality Google TV Application Development. We give you the assurance of the best feature-rich and powerful experience, through our final creation.